OK 53A Comanche Lake Spillway, Stephens Co.
OK 53A is not signed anymore, though I am not sure if it ever was. 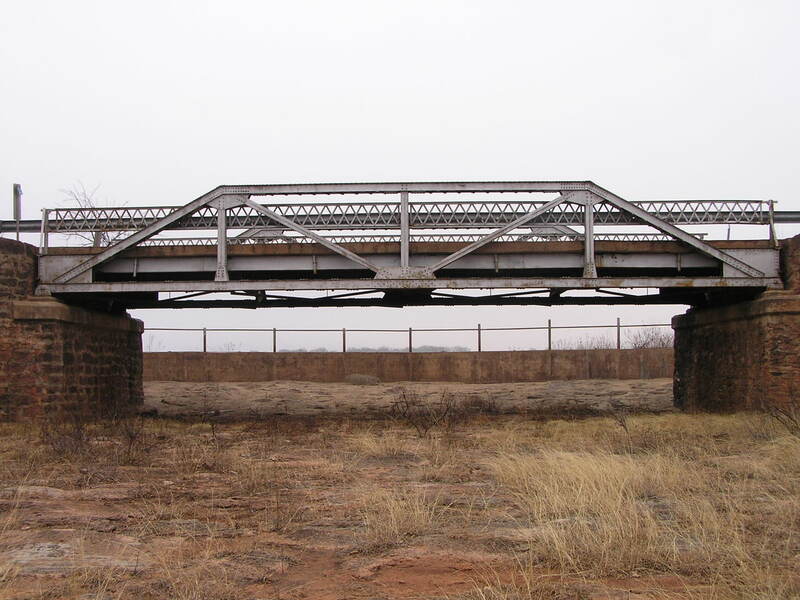 At any rate this rather nice 60-foot riveted Pratt pony truss was built in 1936 to allow traffic across the dam. It is now closed. 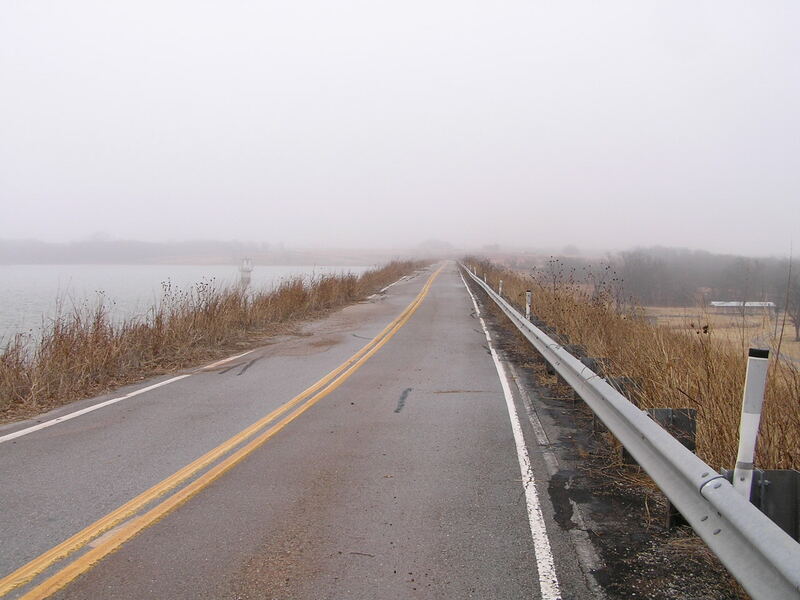 Above, looking east across the dam on a foggy winter morning. Below, the span. 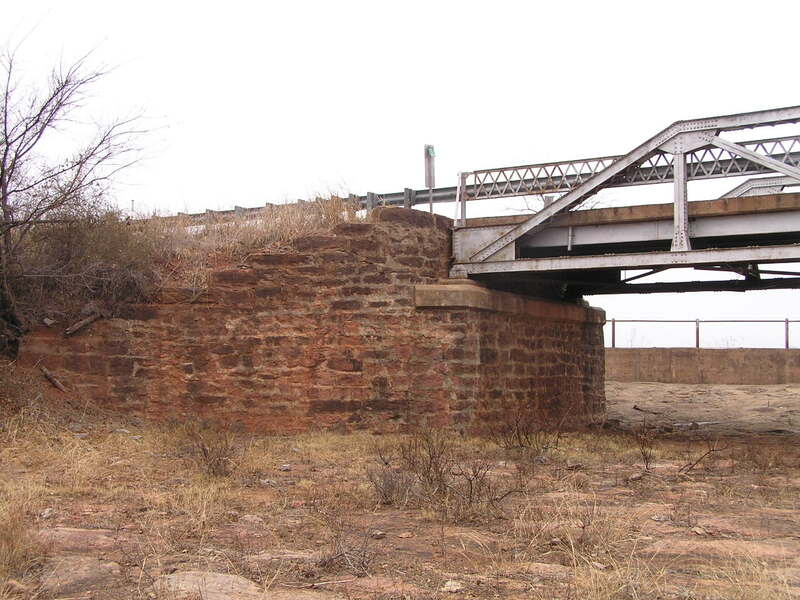 The eastern terminus of 53A was the east end of the bridge. 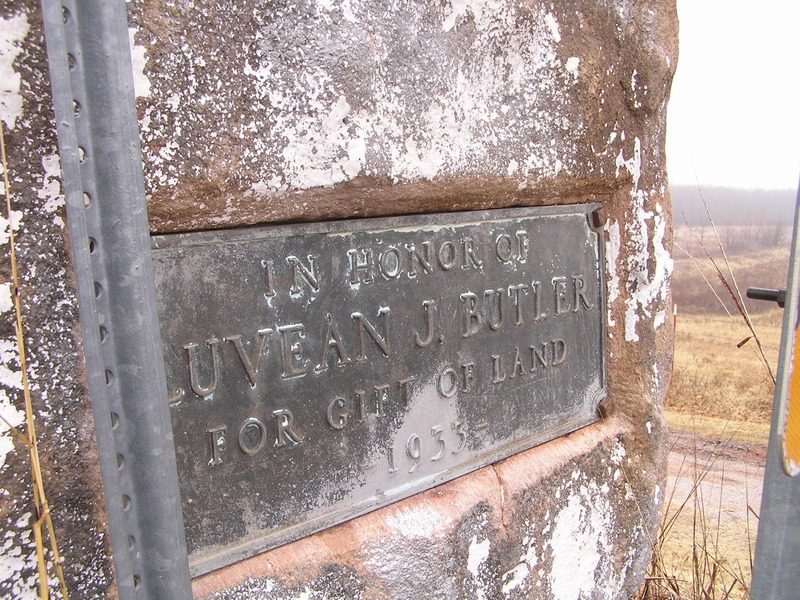 Above, a picture of the plaque attached to a rustic stone obelisk at the west end of the dam. 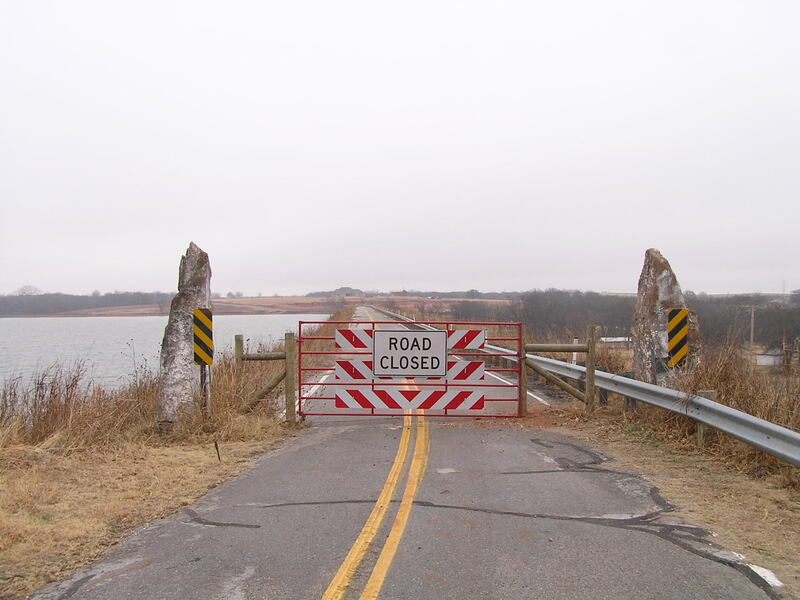 Below, a view of the west entry to the dam with the rustic stone obelisks and the barrier. Above, a side shot of the truss span. Below, one of the stone abutments that bears the bridge. 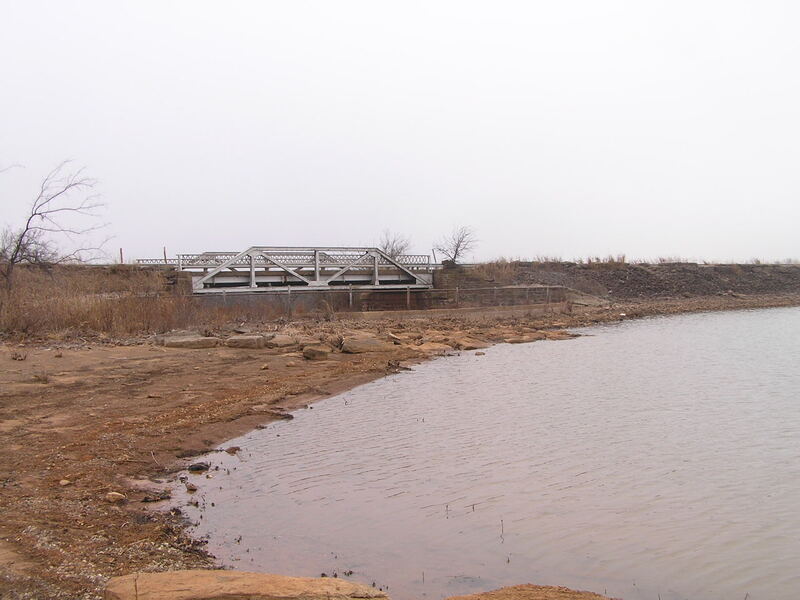 Above, a view of the bridge from the lake side of the dam. As you can see, the spillway is the semi-circular concrete wall. Although this is a pretty standard bridge, the installation setting is very unusual. 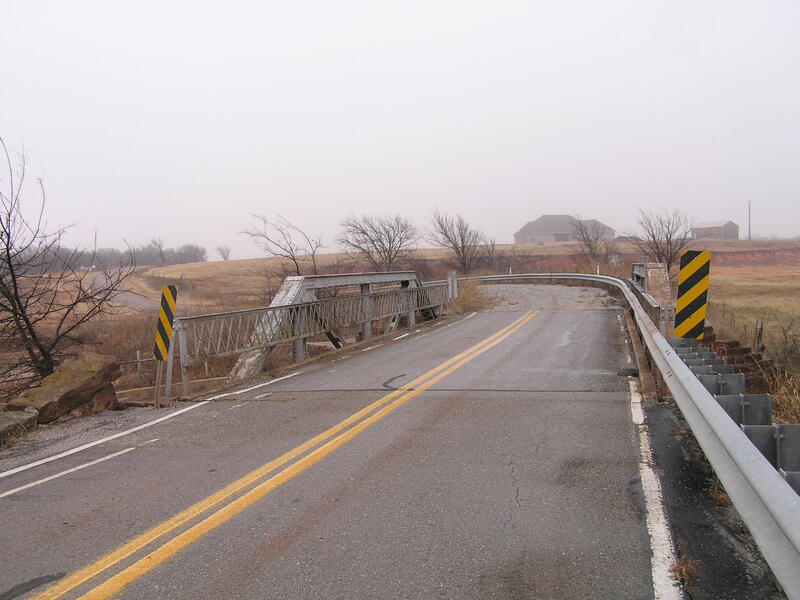 Not many dams have truss bridges incorporated in them. The area has a relaxing, slow pace to it, and hopefully this bridge will remain for many years, if not generations more.